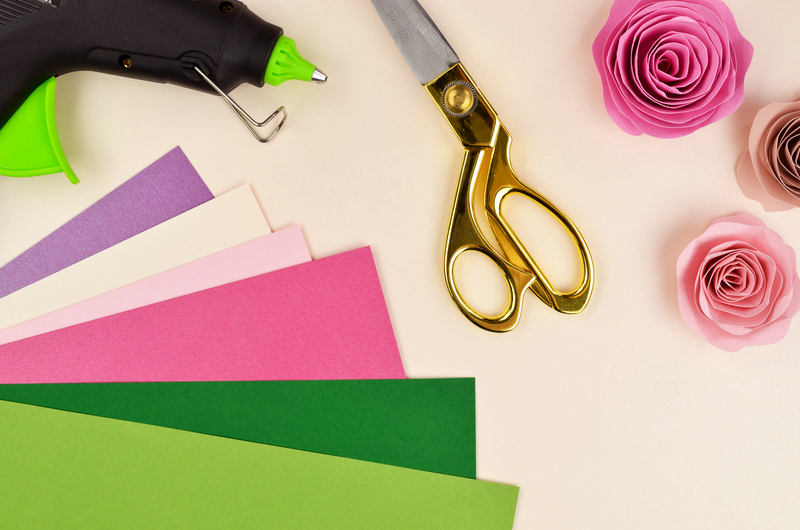 Valentine’s Day is right around the corner, and what better way to get in the spirit than by making your own pretty paper flowers! 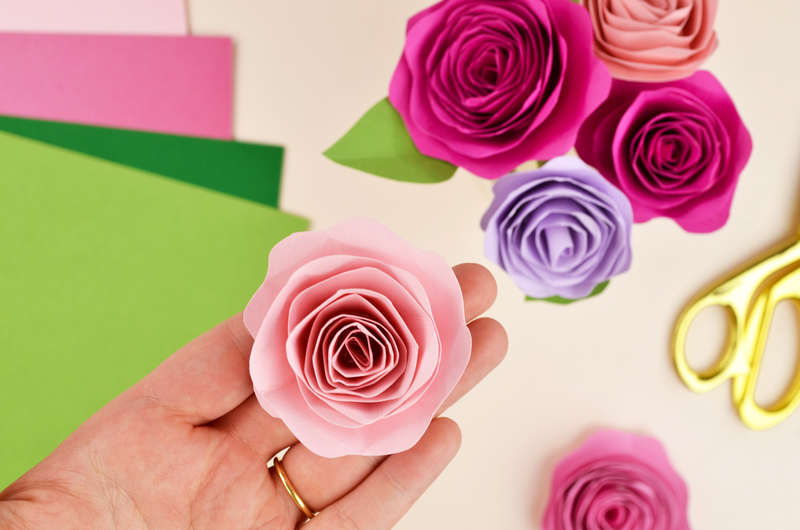 They may look complex, but these DIY spiral paper roses are fun, easy, and inexpensive to make yourself. 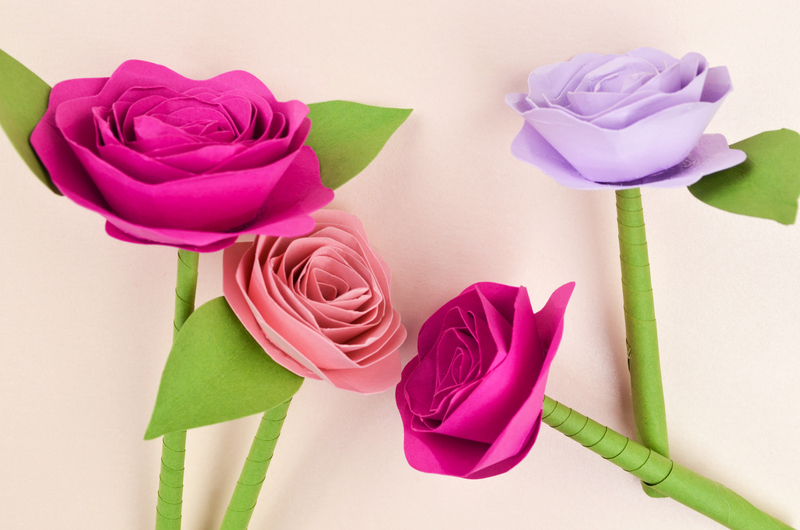 Make these paper flowers for your own Valentine’s Day decor, as a craft to do with your kids, or spread some love and make a few flowers to share with friends, family, or your significant other. 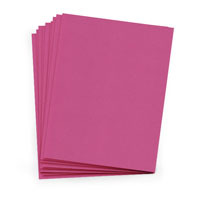 Cut your cardstock into a square using your paper trimmer – the size of the square depends on the size of the flower you’d like. We cut our 8.5 x 11″ cardstock down to a 6 x 6″ square in this tutorial. 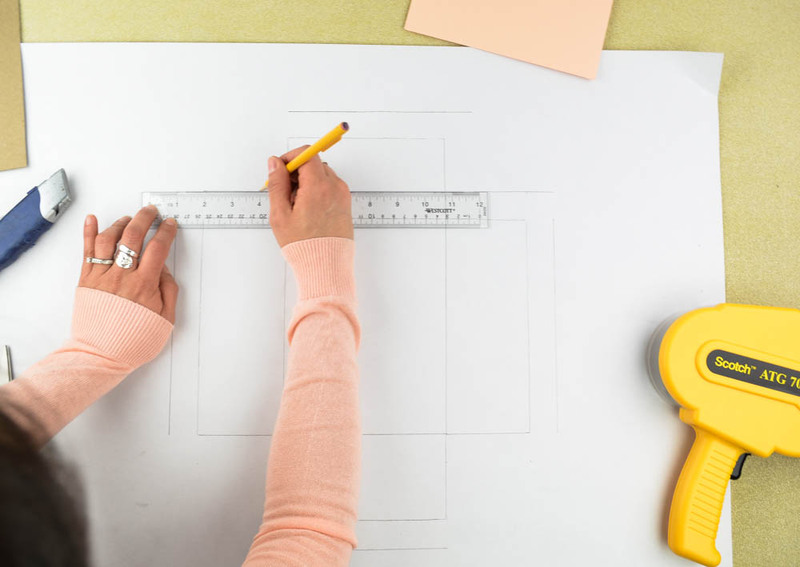 Experiment and make a variety of sizes! Start at any point of the circle’s outer edge, and cut it into a spiral shape (the cut should be about 1″ in width). When you get to the center, leave the end as a small circle in the middle, which will be a base for your flower. Once you’ve cut your spiral, go back and cut a wave pattern on just the outer edge (this can be uneven for more interest). Take the outer end and start tightly rolling until you get to the round center. Try to keep the straight edge of your spiral lined up as you roll. 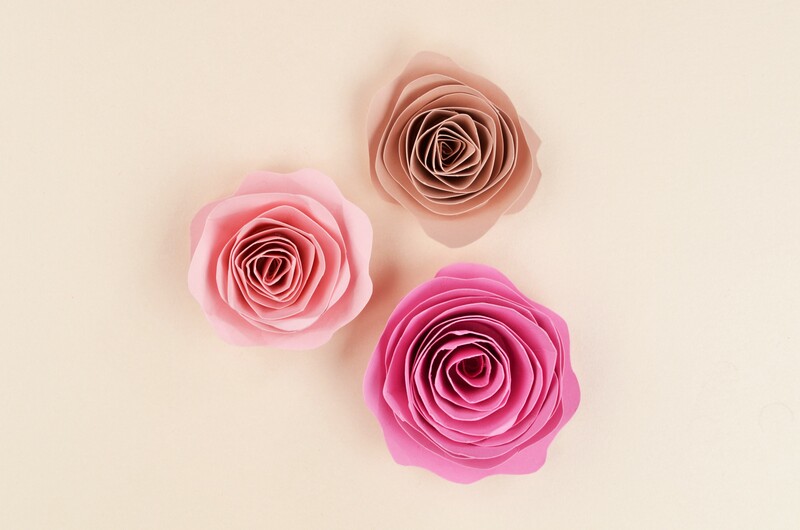 Now that your flower is tightly rolled up, place it on the table and let it go, so that it will unravel slightly to reveal a beautiful spiral flower. 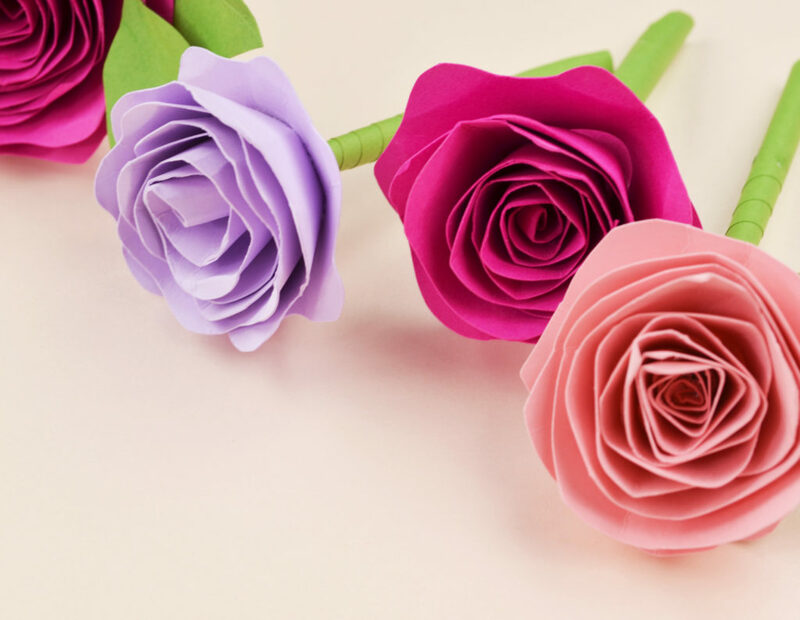 Carefully apply hot glue to the bottom of your spiral flower and securely press it against the round end of your spiral that was left as your flower’s base. Hold it in place until the glue has dried so that it doesn’t unravel further. 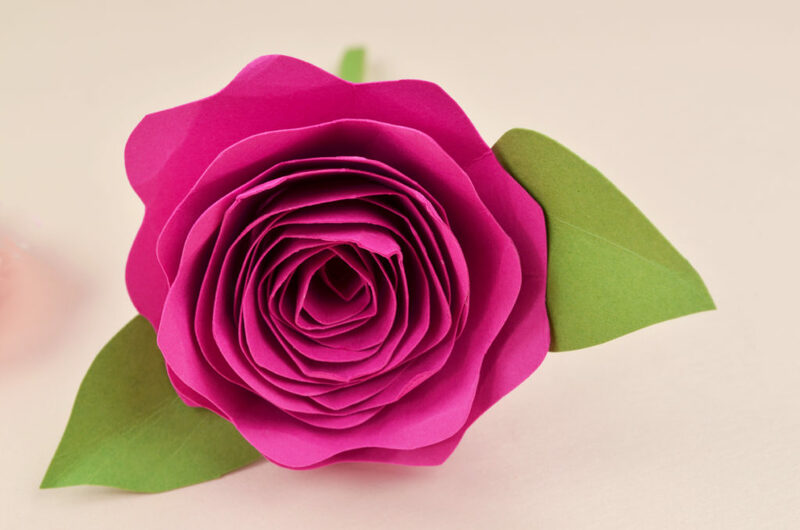 At this point, you can leave your flower as is, or move on to make a paper stem. To make the stem, trim your text weight paper to 2 x 10″. Start in one corner, and carefully roll diagonally until you’ve rolled it up completely. If it seems a little short, you can try lengthening it by gently pulling the ends. Try to keep it as tight as possible. Seal the end of your stem in place with hot glue. 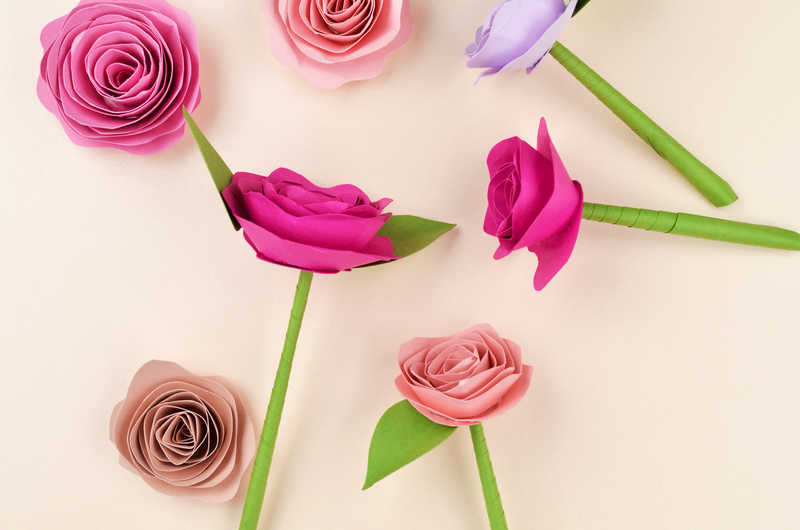 Then use your scissors to carefully poke a hole in the bottom center of your flower, and slide the stem in. 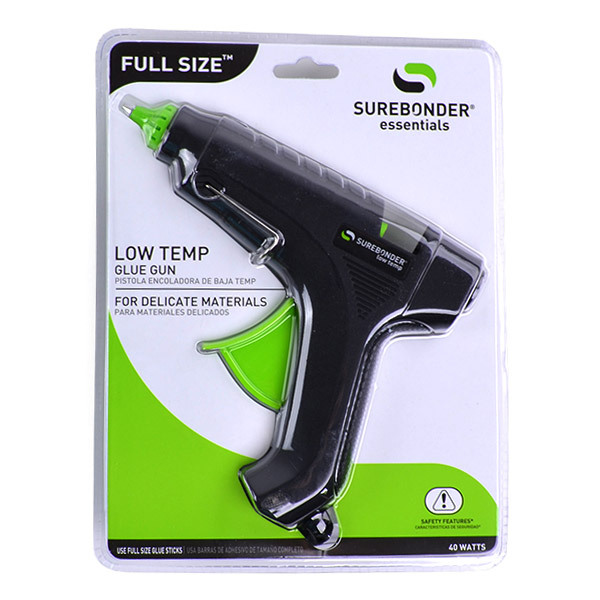 This should stay in place on its own, but you can also add hot glue to keep it secure. 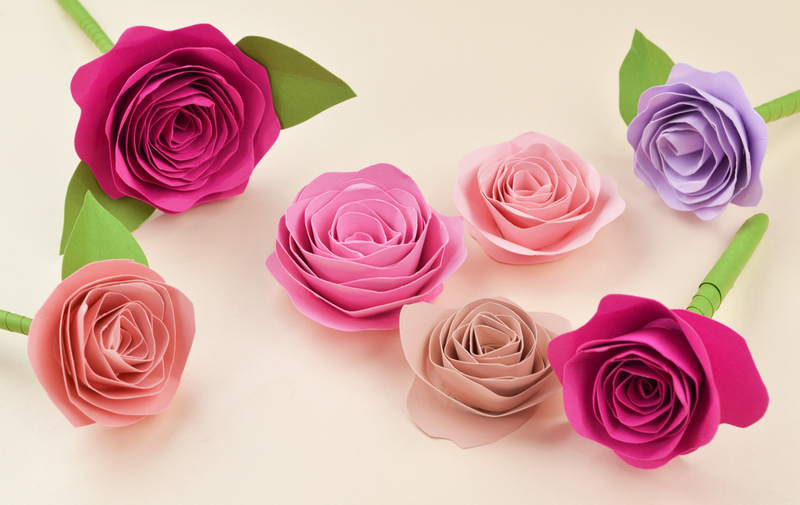 Refer to the video at the top of the post to see exactly how we made these beautiful DIY paper flowers. Hopefully this simple and sweet project will help you feel and share a little Valentine’s Day love. 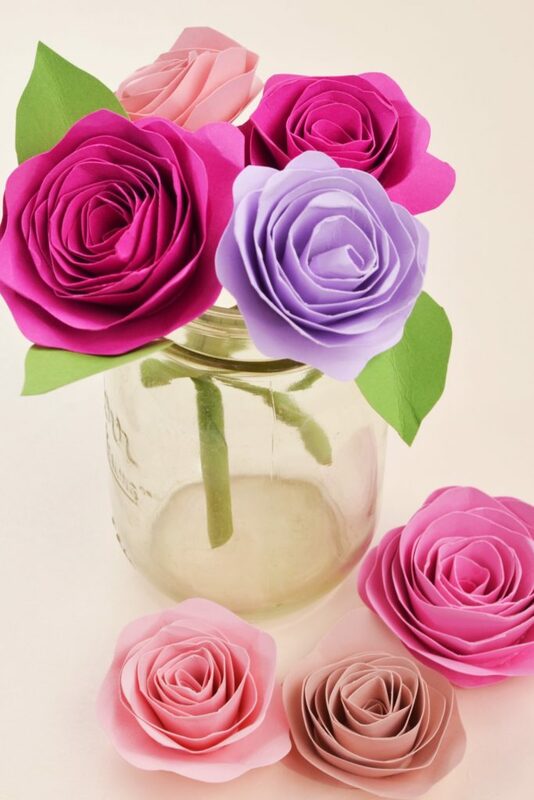 Happy DIY-ing, and Happy Valentine’s Day! 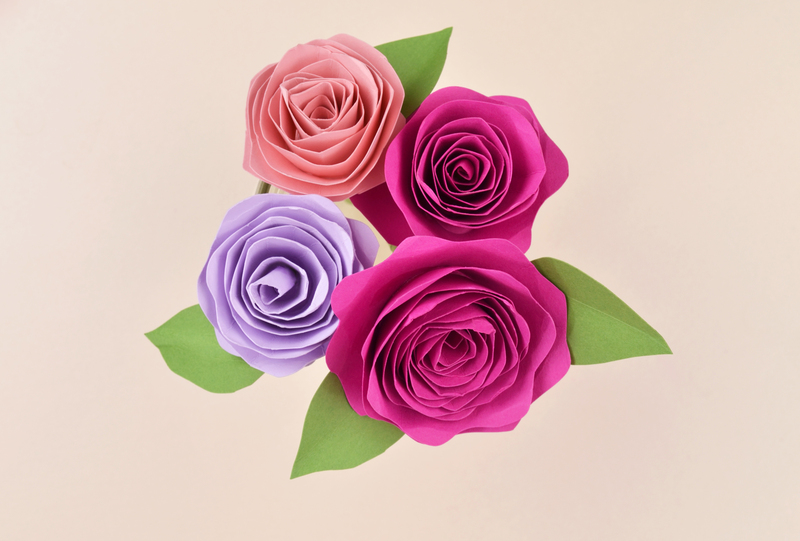 Have any questions about how we made these flowers? Let us know in the comments below!